Association for Sustainable Community Development (ASSCOD’s) vision is to facilitate economic development in rural India living by providing access to good education and health care. ASSCOD targets groups among lower caste families who are living below the poverty line, these are mainly in the rural areas of Cheyyar and Vandavasi Blocks in Tamilnadu. Tribal people known as irulas have been living in isolated places of interior villages of Kancheepuram and Thiruvannamalai Districts have no access to basic amenities such as safe drinking water, shelter, clothing and health care facilities. ASSCOD is making sincere efforts to address those issues and improve the quality of lives of tribal people. Your donation of Rs 1500 /- will be used for providing a health checkup for an elderly person and some medicines thereof. VISION Association for Sustainable Community Development's (ASSCOD) vision is of all people in rural India living in an economically developed society, having access to good education and being in good health. MISSION ASSCOD empowers rural women and their families through facilitating economic development, establishing educational opportunities and enabling health improvements. 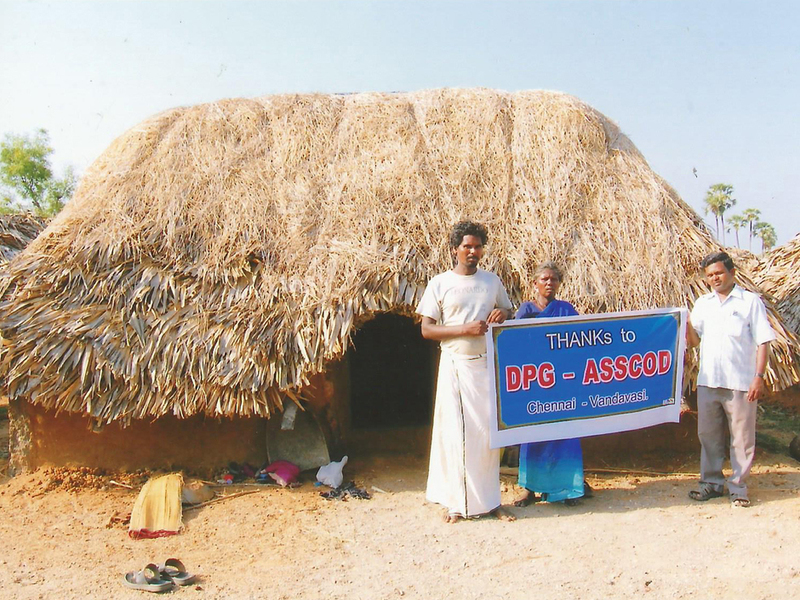 ASSCOD targets groups among lower caste families who are living below the poverty line; these are mainly in the rural areas of Cheyyar and Vandavasi Blocks in Tamilnadu, India. Mr. A. Haidar Ali S/o AbdulKadar is a differently abled person and he became a physically handicapped due to polio attack. His disability percentage is 65%. He is studied +2 and is living with his parents. He is working in self employment and earning Rs.3,000 per month. His father is a mat weaving and the family is in poor economic conditions. Mr. Kaidar Ali wanted to reach the bus station Vandavasi town (in away from 2 kms.) to attend a job. So, he needed a tricycle. As he came to know that our NGO is distributing tricycles to the physically handicapped persons, he approached our NGO and based on his poor economic situation, we donated the new tricycle to him on 3rd May 2012. The tricycle is very much useful to him and it helps him to reach his working place on time. He expressed his sincere thanks to ASSCOD for this timely help.